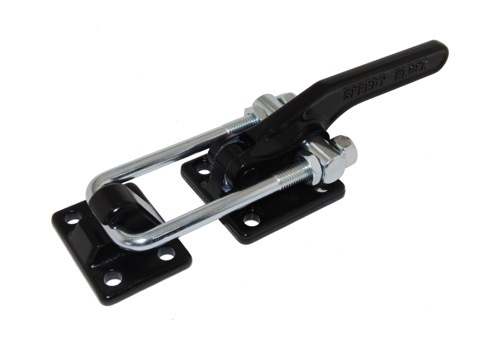 Introducing the super heavy duty draw latch: the AL600 from Elesa! 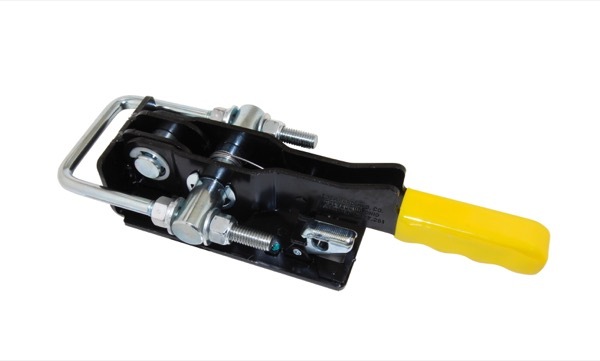 Looking for a powerhouse draw latch that can take a beating and hold a ton of weight? We got you covered.The AL600 provides a relatively low profile latching point that is super strong, yet comfortable to use. 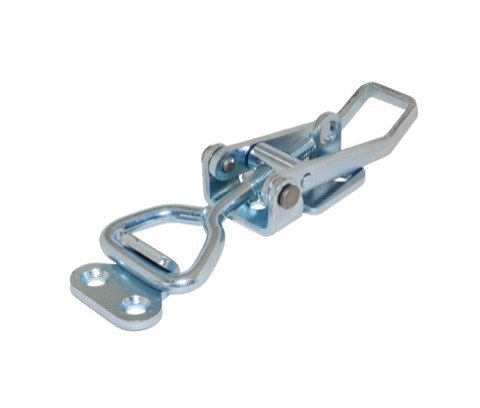 The powder-coated steel body, hardened steel pin and zinc plated pulling hook give this latch up to 17,000N of holding force. It’s easy to use and adjustable too! 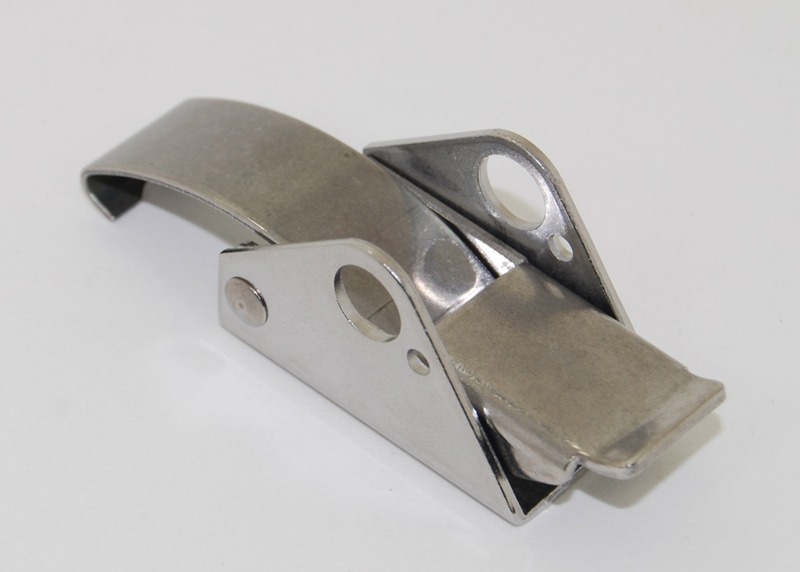 This latch is also available in different sizes and materials (including Stainless Steel!). Want to know more about the options that are available? Want to see one in action? We can do that. Call us today or use our handy Contact Form to reach us! There are dozens of names for these locks, and we’re happy to call them whatever you like: butterfly latches, wing locks, cam latches, rotary locks. You name it, we’ve heard it. This is one of the areas where we’re different. We don’t just look up “Butterfly latches” when you call, we ask you to describe it so that we know exactly what you need. Our job is not just selling latches. 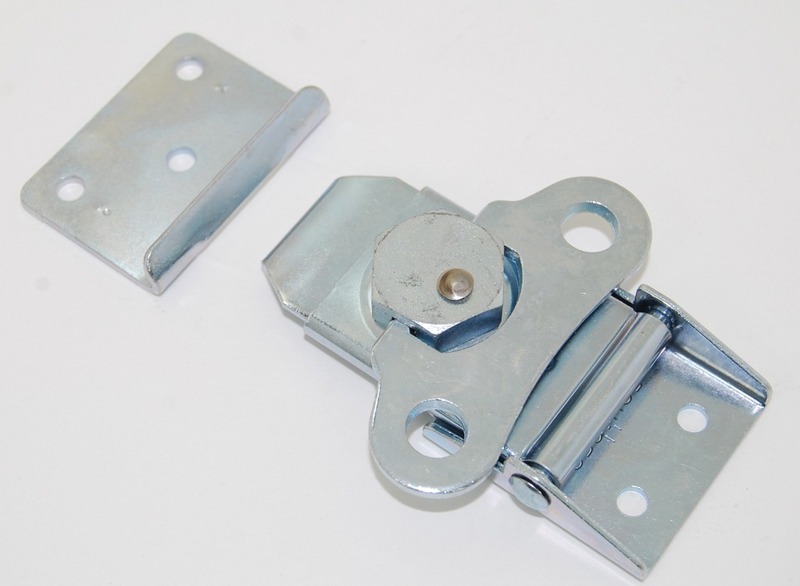 Our job is to help you find the right latch for your project, whatever it’s called. Can’t find it in our website? Use our contact form and let us know what you need. We’d be happy to call you back and help you today. Draw latches are great for lids or covers that are drawn together, along the same plane. 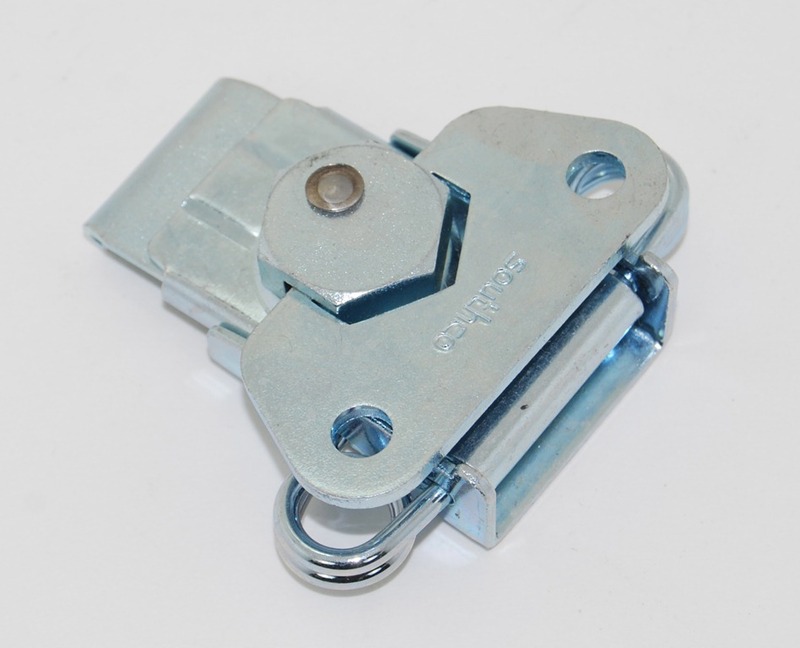 Southco’s V2 series draw latches are very strong, but very forgiving. 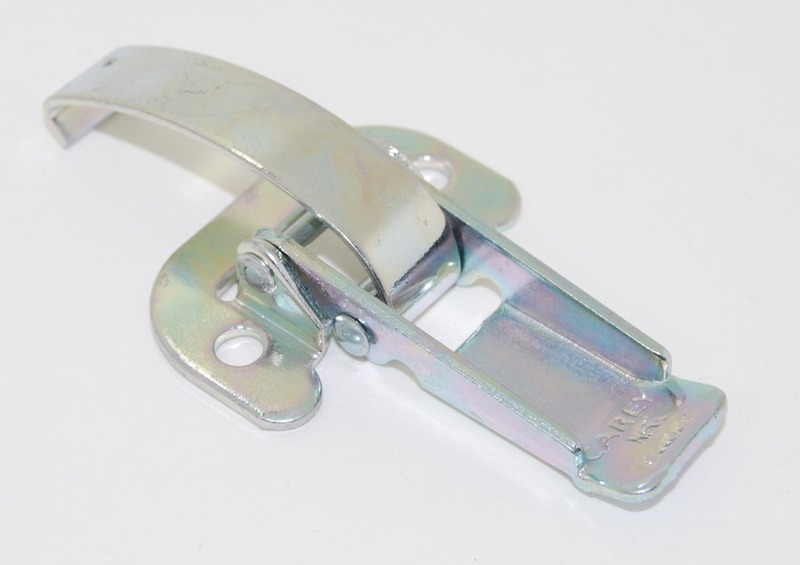 The spring coils mounted on the sides of the latch provide some shock protection. If your application is subject to a lot of vibration or sudden impacts, this might be a good option for you. Another commonly used draw latch is this one- all the strength of Southco’s V2, but no springs (some people just aren’t fans of the springs). Easy to install, easier to use. Available in a range of finishes, too. 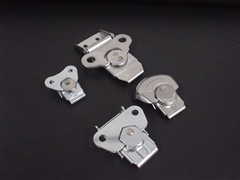 Southco’s 97 series draw latches are as pretty as they are functional. With dozens of variations available, you can be assured that there’s a version that will fit your application. Available in bright chrome finish or polished stainless, with options for padlocking, wire sealing, secondary catches and more. Check them out! In the market for a heavier solution? 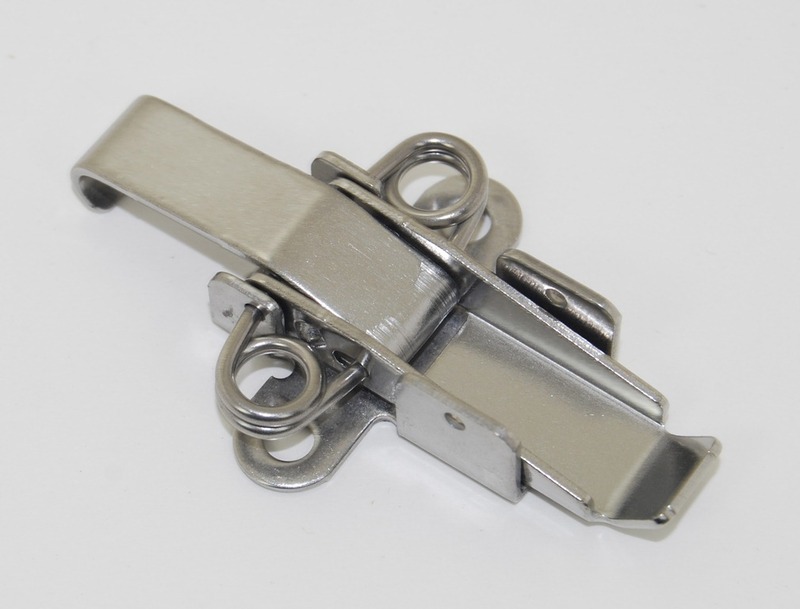 There aren’t many adjustable draw latches our there, and surely none as nice as these. The comfortable vinyl grips make these a pleasure to work with. Available in three sizes, all have the option of yellow grip, or plain. 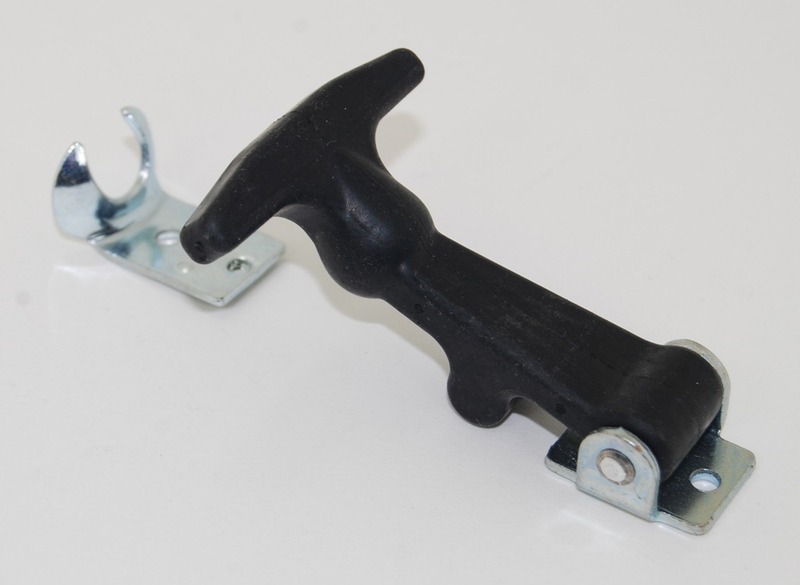 The Flexible (rubber) T-handle latch can be seen all over the place. 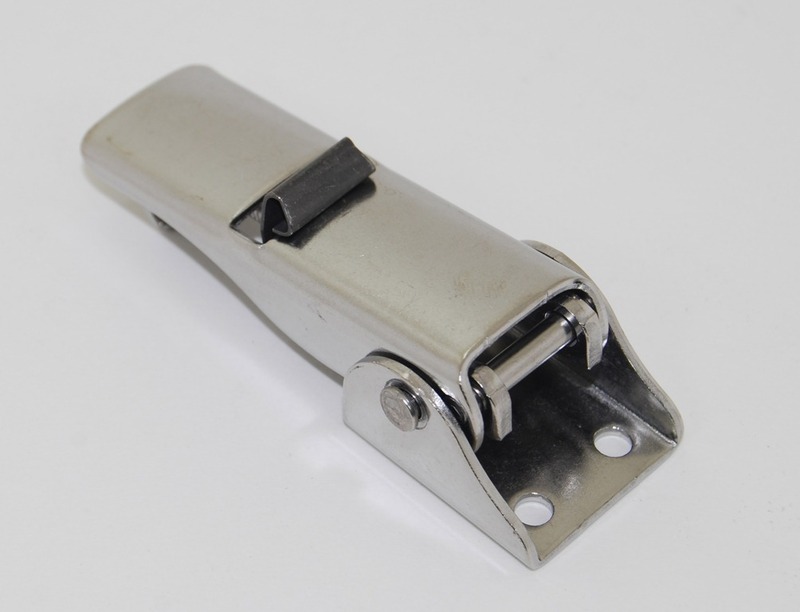 Used on battery boxes, toolboxes and more, this “standard” latch is available in 5 different sizes, three different styles, some with the option of stainless steel hardware. Wire Bail latches are clean, simple, and inexpensive! They’re also available in a range of styles (straight bail, curved bail, locking, non-locking), finishes and materials. 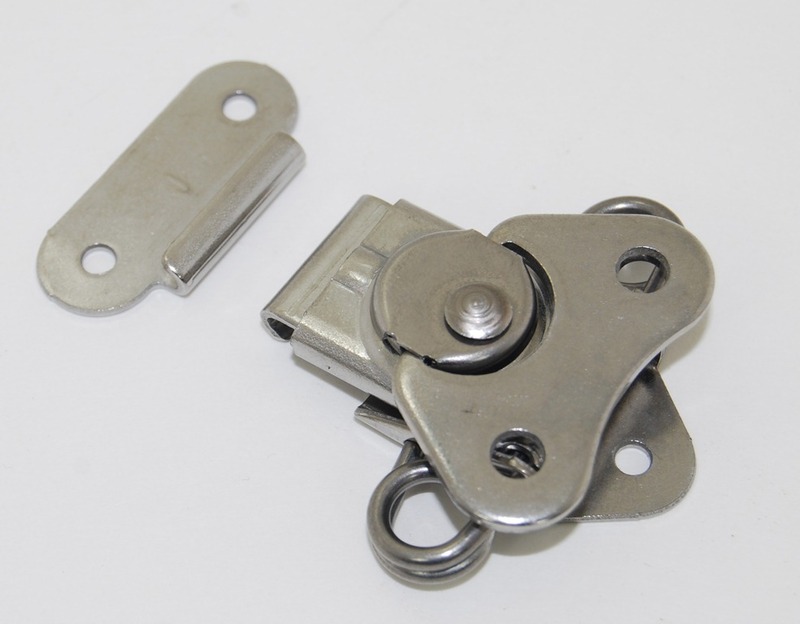 We also have a range of “under center” draw latches! These provide a different feel, but still offer mechanical assistance for drawing panels together. Available in Steel, Stainless and even a Black Powder Coat, with a host of options that includes concealed or exposed bases, secondary catches, and padlocking. The K5 Link Lock has been around for years. Link Locks, or “Butterfly Locks” are great for panels that may be subject to vibration or accidental opening. Once engaged, these latches will not open up by accident. They’re also great for applications where the panels aren’t always in alignment. 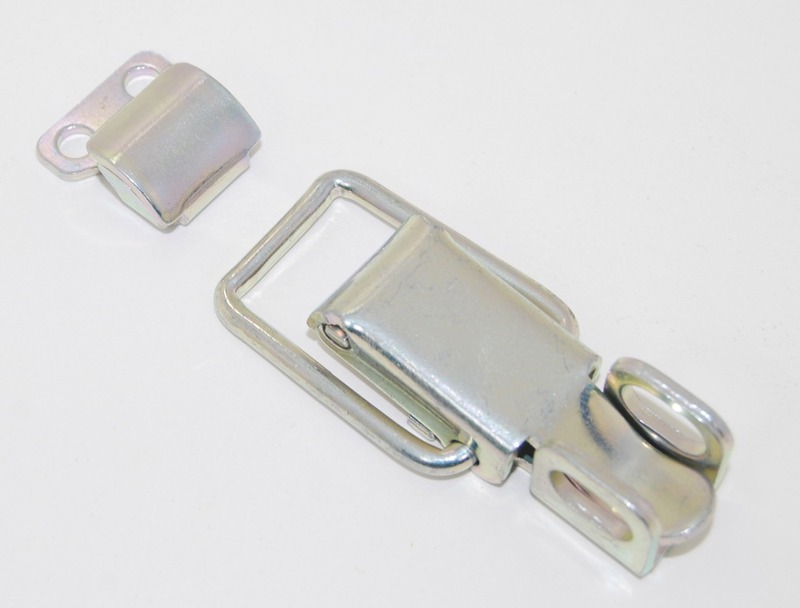 Link locks can latch easily even when at an angle. The K4 Link Lock is the Medium-sized option for the link lock family. 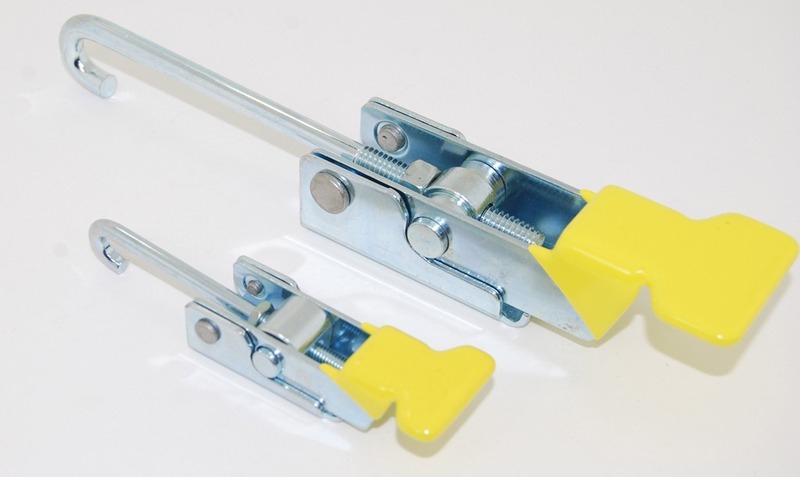 All link locks are available with springs (as shown here) to provide shock-absorbent protection against impact, misalignment or high vibration. There’s also a stylized version of this latch available in black powder-coat or in stainless. The K3 link lock is the smallest of the link locks, yet it still boasts up to 300 lbs of tensile strength before breaking! Available with or without springs, in stainless or steel with zinc plating.